If it could be demonstrated that any complex organ existed, which could not possibly have been formed by numerous, successive, slight modifications, my theory would absolutely break down. Has anyone done more in cinematography to reveal the majesty of creation to man than Sir David Attenborough? For more than fifty years his films have exposed in better and better quality, and in greater and greater detail, the intricate order and particularity in creation and, most significant of all, its great beauty. In his more recent productions, accelerated time (time lapse) photography exposing the mysteries in the lives of plants has revealed still greater wonders in creation. His enthusiasm for his subject is matched by rare panache in commentary and in presentation. We owe him an immense debt. Yet the brilliance of his films and his ability as a prophet of nature has not been matched by insight or profundity of thought. Sir David has always been at his best when he demonstrates the majesty of nature; and at his worst in his attempts to give it rational explanation. In truth his subject has betrayed his intentions. For while he has worked tirelessly to show the world that these plants and animals are but the happy accidents of blind chance, the creatures themselves have demonstrated ever more convincingly their provenance at the hands of an overarching intellect fashioning them in intricate order, forming them with the greatest loving care and endowing them with a majestic beauty. This ascription of intellectual activity (‘utilising the aid of animals and… the human animal…’; ‘pay[ing] to use an exclusive courier service…’; ‘pay[ing] a considerable price… evolv[ing] shorter, stubbier wings…;’ ‘[effecting] one comparatively small adaptation of its feathers…’) in each of these cases to a being devoid of intellect is a literary device. It is called ‘personification’ and is used, in poetry more than in prose, to enlist the sympathy of the reader to the emotional commitment of the writer. But Sir David does not use it as a figure of speech; he means it literally. It is part of evolutionspeak, the language which removes the unutterable from thought and replaces it with the tolerable. What is the unutterable? Any word which would serve to recognise the existence of a designer, a maker, or of an end in all these effects demanding the existence of an intellect to intend that end. What is the tolerable? Anything which a mind can pretend is extractible from nothing but material causality, even if this means indulging in the nonsense of attributing intellect to a being manifestly devoid of it. Quite apart from any other criticism one may have of this device, it is intellectually dishonest. Rather than analysing reality, extracting its principles rationally and drawing objective conclusions, its practitioners force reality to fit their a priori, ie, subjective, views. This intellectual disease, subjectivism, as we have remarked elsewhere, is the evil of the age. Its manifestation in this particular instance is, of course, Darwinian evolutionary theory. An error subsidiary to this first, and growing out of the same mindless materialism, the same simplistic world view, appears in the way Sir David treats of life, whether manifest in plants in animals or in man, as nothing but a continuum, only quantitatively distinct, not different in kind. In his seminal analysis of evolutionary theory, Evolution: A Theory in Crisis , molecular biologist, Dr Michael Denton, lists this treatment of life as one of the two axioms on which the theory is founded. The other axiom is that all adaptive design in nature is the result of random processes. A corollary of these two axioms is that it is licit for modern scientists to assert, as if they were facts, their hypotheses as to how the adaptive design in nature developed. Here is an example taken from the Attenborough series The Living Planet. This is pure fantasy for which there is not the slightest evidence beyond the fervid imaginings of evolutionists. We will deal with each of these errors, stripping the splendours of nature’s intricacies of Sir David’s evolutionist code. We will start with what is meant by ‘life’ and show how naïve is his consideration of the topic. We will then deal with time and with chance (random process) and see to what extent, if at all, they operate as causes. We will then reflect on the lights which the invention of the computer and the computer program have come to shed on evolutionary theory and on life, and conclude with contradictions of the evolutionary thesis that appear in Sir David’s productions. Life is not a continuum graduating from the merest amoeba to the majesty of intellectual activity in minds like those of an Aristotle or an Einstein, a Shakespeare or a Beethoven. The very concept ‘life’ is analogous. When said of a plant and when said of a brute animal, the word signifies something which is in some way same but also in some way unsame. It doesn’t take much effort to see that the unsameness is greater than the sameness. A living thing moves itself, it is automotive. In the plant, ‘life’ signifies automotion but only at the level of execution. Thus the nutrition of the organism operates according to its specific needs; its growth occurs not at random, but to due size and shape; the power of generation is aimed to the conservation of its species. But the form of the plant’s operations is determined not by itself, but by its nature and the end of its operations is likewise determined not by itself, but by its nature. Contrast with this sensitive, ie, animal, life. Here ‘life’ signifies automotion not only at the level of execution, but also at the level of form. When the fox chases the rabbit, it runs hither and thither, in one direction then in another, because it sees the rabbit, which is potentially food for it, running in those respective directions. Not only does the fox move itself to execution of the action, but it moves itself according to a form, knowledge of the rabbit (and of its flight) due to the power of sight, smell and hearing with which it is endowed. In the same way the rabbit flees the fox, the execution of the action, according to a similar form of knowledge of the fox (and of its pursuit), perceiving the fox through the same senses of sight, smell and hearing, as a danger to its life and, so, something to be avoided. But neither animal determines the end of its action, whether of pursuit or of flight. The fox chases the rabbit that it may eat, and so live. It does not choose this end. The rabbit flees the fox that it may save its life: no more than the fox does it choose this end. In each case the end is determined for the animal. It simply acts in accordance with its nature. In pursuit, as in flight, each animal is acting for its own preservation. It is the same with that act which is done for the preservation of its species, generation. Here too, the animal operates at the level both of execution and of form but it does not determine the end of its action, the maintenance of its species. Accordingly, while plants are singly automotive, brute animals are doubly automotive. In contrast with plants and animals, man moves himself not only as regards the execution and the form of his acts, but also as regards their end. He needs food to sustain his life. His internal organs emulate those of the plant in transforming it into living tissue in nutrition. Like the plant, growth in his body occurs to a determinate size, shape and proportion. He pursues appropriate food, like the brute animal, according to the form of sense knowledge. But, distinctively from the brute, he chooses the end of this action—to eat this, rather than that; to eat less, rather than more; or, to refrain according to a rational motive from eating at all. He is not determined by his nature to an end but chooses that end for himself. The same goes for generation. He is not determined like the brute animal, but free to choose the partner with whom he will bring into the world new members of his species. ‘Life’ when said of a human being then, signifies something radically different from that word when said of a brute animal. The difference in meaning is even more fundamental than the difference in meaning of that word when said of a plant, and when said of an animal. For only those creatures endowed with intellect can choose the end of their acts. And only man is so endowed. So great is the difference between man and the brutes that Aristotle says somewhere in his works: The least degree of intellect in one, is greater than the whole of the rest of creation. No matter how refined sensitive (ie, animal) life may be, it can never lift itself out of its nature to the level of the rational, the intellective, for the intellective operates at a level infinitely higher than the sensitive. The theory of evolution is based on an alleged material, that is, quantitative, shift. The difference between plant and animal is not one of quantity, but of quality; not one of degree, but of kind. It is a difference in specification. A being limited to act only at the level of execution, can never raise itself to act at the level of form. It is prevented from doing so by its design. One might as well say that a line could change itself, without the assistance of its draftsman, into a plane figure. Even if the theory of evolution was true within the category of plant life—and one plant could somehow be transmuted into another by some quantitative shift—it could never lift itself out of its category of the singly automotive into that of the doubly automotive, the category of animal life. A fortiori, even if the theory of evolution was true within the category of animal life—and one animal could somehow be transmuted into another by some quantitative shift—it could never lift itself to the level of the trebly automotive, the category of human life. Again, it is prevented from doing so by its specification. One might as well say that a plane figure, a plan, could change itself without the assistance of a builder, into a three dimensional figure! Moreover, man, free to choose the end of his operations, does so in virtue of a principle which is not only qualitatively different from that according to which the brute animal operates, but is not even material. Not even the wildest exponents of evolutionism would allow that matter could somehow transmute itself into the immaterial. They wouldn’t even admit the existence of the immaterial. This analysis of life into its three categories taken from the writings of St Thomas Aquinas in his Summa Theologiae [I, q. 18, a. 3], is derived from the works of the finest of the ancient Greek philosophers, Aristotle. Its subtleties are hidden from modern thinkers who, since they refuse to accept the existence of any cause other than the material cause, are impeded from understanding the majesty of creation. A cause is a positive principle which exercises influence unto the be (esse) of a thing dependent in regard to its be. A cause may operate in one of four, and only four, ways—as end, as maker, as form or as matter. The four causes are analysed in the Appendix to this paper and the reader is invited to study that analysis before proceeding. Time is the measure of motion. It does not exercise influence unto the esse of any thing, whether finally, efficiently, formally or materially. Rather, does it measure the movement these four causes produce in bringing things from potency to act. Whether the universe is 6,000 years old (as ‘creation scientists’ naively assert) or 13 billion years old as science seems to show, doesn’t matter in the least. Time of itself can add nothing and subtract nothing to the movement produced by the four causes. Chance is an accident, an event which occurs through concurrence of causes whose influence is overlooked or ignored in the preoccupation with their accidental effect. It is something negative expressed as something positive, the attribution of real causation to something which is not a cause at all. For what happens by chance is an effect which is not explicable from some determinate cause because no cause is ordered to it per se. Rather the effect is produced per accidens. Thus the finding of a buried treasure by a grave digger (the chance) arises from the concurrence of two causalities, the action of digging and the earlier action by the secretor of hiding in the very place where the digging occurs. The chance meeting of friends occurs from the concurrence of two causalities, the walking by the first in one direction at a particular time past a particular place with the walking by the second in the opposition direction at the same time past the same place. In neither instance is the accidental occurrence intended. Chance both exists and does not exist, under different respects . It exists really as happenstance; but as a cause does not exist. For every cause which is particular and inferior depends upon a cause which is universal and superior, and effects arising from the concurrence with each other of particular causes, though praeter-intentional or fortuitous, are foreseen at the level of the universal and superior . It is not licit, then, to draw conclusions against the finality in things (ie, their ordered-ness to an end) from chance. For while every particular cause intends its own particular effect, the universal cause intends not only such particular effects but also effects arising from the intersecting of particular causes. In other words, there is a finality in the order of the world which embraces the chance effects of the intersection of particular causes. In respect of human operations, Shakespeare expressed it with the line in the play, Hamlet: There’s a divinity that shapes our ends, rough hew them how we will. The Portuguese embodied it in the maxim: God writes straight with crooked lines. Just because mammals are found in the sea it does not follow they must have come from the land. Nor does it follow that somehow they developed for themselves the paraphenalia to cope with an entirely seaborn life. That they flourish in the sea is proof that they were designed for life in the sea. There is not the slightest objective evidence for the assertion that this or that sea-going mammal ‘lost its limbs’. Similarity of skeletal layout or bone structure does not entitle scientists to conclude that one animal is ‘descended’ from another. The one certain fact about species is that they do not change. It cannot be concluded, then, that the species of now extinct animals ever changed either. How many times does it have to be repeated that there is a total absence of evidence in fossil remains of any of the alleged transitory forms? If the author of the designs manifest in diverse species elected to use different means to achieve similar ends—as is the case, for instance, with the killer whale, the seal, the penguin, the shark and the saltwater crocodile, all of them sea-going creatures—that is his affair. Each of these animals falls into a different taxonomic category. That bare fact does not entitle anyone to fantasise on the provenance of each, to create an imaginary family tree of the ‘descending’ forms, or assert these fantasies as if they were facts. Wisdom, or insight, is the fruit of right reason. Ultimately it can only flourish where there is sound philosophy. The western world began to lose its grip on sound philosophy with the advent of Rene Descartes  and had well and truly lost its way intellectually by the second half of the 20th century. The Universities of Oxford and Cambridge, founded at the turn of the 12th century by men schooled in the long tradition of Greek and Roman thought, buttressed by contributions from Arab and Jewish thought and rendered increasingly precise by a flourishing Christian analysis, were, by the mid nineteenth century languishing under the great debility of modern philosophy with its confusions of causes and effects and its inability to make the simplest of distinctions. Where the scholars of the past had insisted on metaphysics, the modern were content with physics; where the former allowed the contributions of the past masters scope in their deliberations, the latter derided these as dated and of historical interest only. The result has been an intellectual blindness. In parallel with the loss of understanding of the metaphysical there occurred, paradoxically, a flourishing of science and discovery and a great burgeoning of knowledge and information. In their pride at such achievements, modern thinkers were content with their ignorance of the wisdom of the men had who preceded them. In the 12th century, John of Salisbury had remarked with great justice: Bernard of Chartres used to say that we are like dwarfs sitting on the shoulders of giants. We see more... because they raise us up... Such an attitude cut no ice with the thinkers of he nineteenth and twentieth centuries. They knew better. The debility of the philosophy underlying modern scientific thought means that modern philosophers and scientists regard the world confusedly—literally so, for the root meaning of confuse is ‘to pour together’—treating thing and object as if they were identical when really distinct. Blind to essential distinctions, they are receptive to any sort of a priori hypothesis such as Darwinian evolutionism. It is this intellectual malaise of which Sir David Attenborough is the heir and, with the greatest of respect to him, the honest artisan. The advent of the computer has put additional strain on the evolutionary hypothesis. Modern biologists are able to show that the brute animal behaves very much like a programmed computer. Thus, if an animal is disturbed in an activity proper to its species, such as nest building, it will not resume the activity at the point where it was disturbed but, replicating the way a computer operates, it will return to the beginning of the nest building process and recommence its task. There is no intellect in a computer, nor in a computer program. But there are traces of intellectual activity in them both demonstrating the truth that each is a work of intellect. There are traces of intellect in brute animals too. But this does not mean that the creatures themselves are possessed of intellect. It means that, like computer and computer program, each is a work of an intellectual being. No one would argue that the computer program, Windows XP, is simply the result of a chance concurrrence of causes. The program was produced by intellect. Why are we not entitled to reach the same conclusion in respect of brute animals? No one would argue that Windows 2000 modified itself to produce Windows XP. Why then is it acceptable to argue that one species of brute animal somehow refined itself to produce a new species? If one species of animal bears similarities to another and seems to operate more successfully than that other, why may we not say that an intellectual being fashioned them both? The structure of the DNA molecule was discovered in 1953 since when knowledge of the topic has grown enormously. Molecular scientists now know that DNA acts as a kind of molecular language, operating in much the same way that softwear runs a computer. How can this be if there never was—if there is not now in the very moment that the DNA molecule operates—a programmer? The weakness of Sir David’s intellectual analysis leads him into contradictions. Two of his programs illustrate this well, The Song Of The Earth  and The Amber Time Machine . The two are collected in the series Attenborough in Paradise and are found on the same DVD so they may be viewed in proximity. The Song Of The Earth is one of the silliest of Sir David’s efforts. He sets out to try and demonstrate through material similarity of the sounds made by various species of brute animal and the different tribes of men the ‘evolutionary connection’ between them. ‘Life’ embraces three different categories of being as has been exposed above. There is no material continuum joining these categories save in this that each is, in its own distinctive way, automotive. In any event, material differences between things are the least of differences. A merely material similarity, or a similarity of appearance, signifies nothing. The fronds of a palm tree in a high wind may look like nothing so much as a herd of agitated horses but the nature of the one is far removed from that of the other. What matters is the immaterial attributes, the distinctive, the formal, aspects, which place each in its respective category—whether the living thing moves itself only as to execution; or whether it does so as to form as well as execution; or whether it does so as to each of execution, form and end. A sound emitted by an animal may be nothing but a voice; or it may convey a limited message to hearers programmed to respond to that limited message, other members of its species or even members of other species; or it may signify intellectual content, concepts, that is, things utterly immaterial, which can be recognised only by beings which are themselves objectively immaterial—men—and then the sound is speech! The Song of the Earth is a clumsy melange of facts and fictions which proves nothing but the naivety of Sir David and of his interviewees and the poverty of their intellectual inheritance. In The Amber Time Machine Sir David reveals his fascination with a piece of amber, a transparent stone constituted by resin exuded by a pine tree some forty million years ago, found on the shores of the Baltic Sea. His investigations in company with biologist, Elzbieta Sontag of the University of Gdansk, reveal the identity of the insects trapped in the resin—a long legged fly; a fungus gnat, an aphid, an ant and a mite, all of which, it is reasonable to conclude, lived together near the bottom of a tree that almost inconceivable period of time ago. These insects are revealed as almost exactly the counterparts of insects found today. Sir David pursues the history revealed in other pieces of resin mined in the Dominican Republic allegedly twenty million years old. In the course of his investigations he is able to replicate today the conduct of stingless bees and assassin bugs that feed upon them; of the tadpoles of poison dart frogs and the sterile eggs the female lays to feed her offspring; of marsh beetles, diving beetles and amber damsel flies; of fig wasps and the nematode worms that live in synchronicity with them; and of the relationship between scale insects and ants in milking them for tree sap—all of which the investigators found trapped in this resin all those millions of years ago. Sir David demonstrates at a level that should satisfy the most critical of scientists that these species have remained unchanged over all those immense periods of time. In other words, there has been no ‘evolution’! All unconsciously towards the end of this production he says this: Amber, again and again, demonstrates this constancy! Indeed, this constancy, this immutability, of animal species has been the catchcry of those who opposed Darwin’s gratuitous thesis from the very first. It is the point insisted upon by the very earliest of natural historians and by philosophers from before the time of Aristotle. Sir David’s study of amber demonstrates the fatuousness of the whole evolutionary hypothesis. But perhaps the most telling evidence against the hypothesis exposed in the whole of Sir David’s cinematography is the work done by him and by his cameramen on the Emperor Penguin. As the horrendous Antarctic winter looms in May each year, this majestic creature, far from fleeing what is to come in accordance with the founding tenets of evolutionary theory, marches south directly into the heart of it . There, on the Ross Ice Shelf, in a darkness which soon becomes permanent and remains so for thirty days, the male settles itself to brood and to raise the egg laid by its mate, with no food or shelter, succour or respite whatsoever, enduring temperatures of minus 70 degrees and winds often in excess of 100 miles per hour, for a period of almost four months. The members of the breeding colony cooperate with each other to ensure that each gets his share of the protection offered by their great numbers, and takes his turn at the windward end of the colony to assist in sheltering his fellows. The females, meanwhile, have been feeding in the seas to the north of the frozen continent. The sea ice is so extensive by the time they return that they may have to walk 100 miles to reach their colony. Each female times her return to synchonise with the hatching of her chick. She has a margin of only ten days after its hatching within which to arrive at the rookery if she is to secure the life of her offspring. The transfer of the chick to the female having been achieved, the male must then march the 100 miles or so back to the open sea in order to feed. This whole breeding undertaking beggars the mind with the intricacy of its order in the face of apparently insuperable hardship. The whole undertaking manifests, moreover, the loving hand of an intellectual being which has so programmed these marvellous creatures that their species will continue to be reproduced against what anyone would think to be utterly overwhelming odds. What is not appreciated about evolutionary theory is that it is a quasi-religion, a religion the object of whose belief is ‘no-God’. Like every religion, evolutionism demands faith and like the more ‘way out’ religions, it demands a faith without objective reason. Despite more than 100 years of research and discovery in which advances in science and exploratory technique have occurred at an exponential rate, the gaps in the fossil record—gaps which would, so it was asserted, reveal the alleged transitionary species—remain unfilled, and the evidence for the stability of species and for the impossibility of their developing outside their specific framework has been reinforced a thousandfold. We have reported Dr Michael Denton’s assertion above that evolutionary theory rests on two axioms. He goes on to say—Neither of [these] two fundamental axioms… have been validated by one single empirical discovery or scientific advance since 1859. Charles Darwin himself had said: If it could be demonstrated that any complex organ existed, which could not possibly have been formed by numerous, successive, slight modifications, my theory would absolutely break down. Any number of such organs have been discovered and the intricacies of molecular biology have demonstrated conclusively that the theory is scientifically impossible. Yet its adherents refuse to draw the conclusion Darwin himself was prepared to concede. Preoccupation with the evolutionary folly continues unabated. This quasi-religion has an associated moral theory. If there is no intellectual being which has designed and produced the natural world; if its almost infinite intricacy, its inter-cooperation of species, its majestic beauty, is nothing more than the manifestation of billions of accidents resulting from blind chance with the faintest of mechanical assistance from natural selection, then there is no one to whom a man need answer for his conduct. Such a man is immunised against the demands of moral responsibility. Is it any wonder, then, that society under the influence of Darwinian evolutionary theory since late in the 19th century has reached the stage where it not only accepts the ‘morality’ of contraception—the interference with the natural reproduction of children—and abortion, the killing of these innocent human beings by the million, but actively promotes the manufacture of human embryos for the purposes of experimentation. Who can observe the many films which Sir David has brought us and not be moved by the loving care with which their subjects tend their offspring? Who will not pause to compare with this the ruthlessness with which so many members of the human race deal with their own offspring, treating them as if they were nothing but consumer items to be accepted or discarded at will? Evolutionism, the religion of ‘no-God’, has done enormous harm in human society and so long as it continues to flourish so will that harm continue. This is the great conservation issue. We cannot undo the harm which is past. But we can be sorry for it in the present. We can wake up to ourselves and see the stupidity of the whole evolutionary thesis—the religion of ‘no-God’—and embrace true religion which acknowledges God’s existence and his over-arching presence in every moment of our lives. A cause is a positive principle which exercises influence unto the be (esse) of a thing dependent in regard to its be. b. in the order of reality (ontological), from which something proceeds really. A cause is a principle in the order of reality, an ontological principle. b. positive, as, eg, the form whereby the elements become water and not some other compound. b. an influence unto be, as the draftsman who draws the line brings the line into being. Anything which is not dependent in regard to its be (esse) could not be caused since to be caused means to be brought from potency to act. All created things are, however, dependent in regard to their be (esse). In them there is real distinction between what they are (their nature) and that they are (their be, or esse). 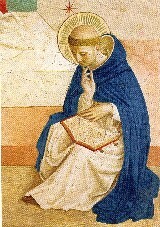 This analysis of St Thomas may be illustrated with the following schema. Of course, the real heroes of his epics are the cameramen, as he has always insisted. Time is the measure of movement according to before and after. (Aristotle, Physica, IV, 12: St Thomas, In Physica, IV, L. 17; Summa Theologiae, I, q. 10, a, 1). And movement is the act of that which is in potency insofar as it is in potency (In Physica, III, 285). Only that which is imperfect under some respect can undergo movement. Who reduced its subtlety to banality with his mechanistic and materialist explanations, immersed its objectivity in his obsession with subjectivity and reduced metaphysics to mere physics. BBC DVD by BBC with Thirteen/WNET New York, in the collection Attenborough In Paradise, first transmitted in the UK, 23.12.2000. BBC DVD by Otter Films in the collection Attenborough In Paradise, BBC, first transmitted in the UK, 15.2.2004. Life in the Freezer, Episode 5, The Big Freeze, BBC DVD; originally transmitted in the UK in November 1993.
 ie, St Thomas’s commentary on The Physics of Aristotle at the reference shown.